EMPIRE XPU is a high performance, high speed 3D RF EM solver. It is faster than other 3D EM solvers by using a unique on-the-fly code generation. Instead of using a universal, pre-built solver engine designed for average engineering PCs, EMPIRE XPU will generate a solver on-the-fly that is optimized for the actual target system and simulation task. This solver takes advantage of all the latest CPU performance features when running on a top-notch CPU. This results in impressive FDTD performance on high-end CPUs, much faster than other 3D EM solvers. 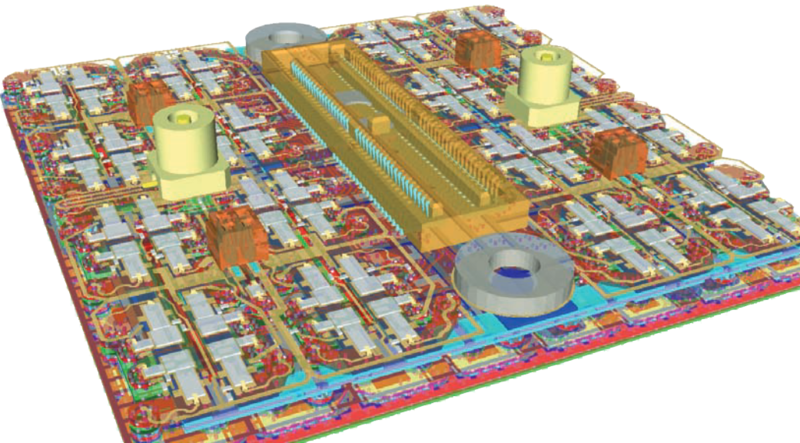 Dr. Mühlhaus Consulting & Software GmbH is value added reseller for EMPIRE XPU and provides customized workflows, templates and automation for EM simulation of integrated circuits, modules and packages. EMPIRE XPU applications include RFIC layouts with very complex layouts and large polygon count (e.g. complex eWLP packages or analysis of filler structure effect), electrically large structures at mm-wave frequencies (e.g. 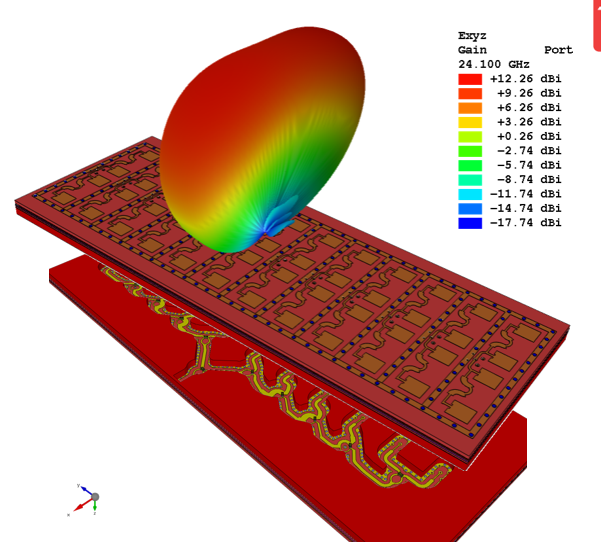 on-chip antennas with lenses and environment) and other challing designs where other EM simulation tools hit the limits for memory requirement or simulation time. Empire XPU is very efficient for antenna design and optimization, from PCB antennas to microwave radar systems. Existing PCB and CAD data can be imported from a wide range of file formats. With integrated 3D and 2D editors, EMPIRE XPU supports efficient modelling of mixed planar + 3D designs. Objects are grouped by logical layers that can provide material properties as well as z-position, thickness, geometry priority and other properties. Using predefined templates for your technology, this enables very fast and efficient modelling. Efficient modelling, high simulation speed and accuracy make EMPIRE XPU an ideal choice for RFIC and package application. Existing Ansys HFSS simulation models can be imported into EMPIRE XPU, keeping geometries and materials. What other EM simulators do you use? HFSS is a trademark of Ansys, Inc.